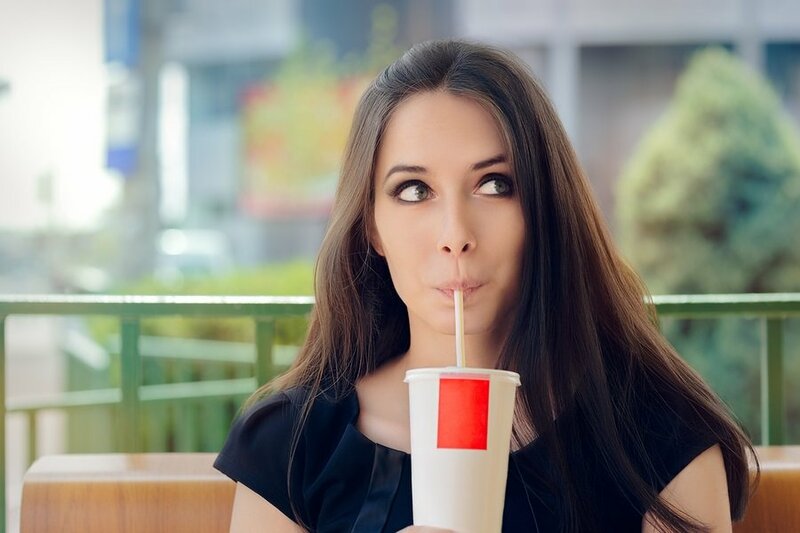 Artificial sweeteners such as aspartame are typically used to sweeten so-called “diet” foods and beverages in lieu of sugar or high-fructose corn syrup  (HFCS). The idea is that reducing your calorie consumption will result in weight loss. Research has repeatedly shown that artificial sweeteners promote insulin resistance and related health problems just like regular sugar does, including ,, cardiovascular disease, stroke , and Alzheimer’s disease . While poor diet is a major driver of Alzheimer’s in general (the primary culprits being sugar/fructose  and grains, especially gluten ), the key mechanism of harm here appears to be methanol toxicity — a much-ignored problem associated with aspartame in particular. In a previous interview, toxicology expert Woodrow Monte, Ph.D., (author of the book “While Science Sleeps: A Sweetener Kills” ) explains the links between aspartame and methanol toxicity  and the formation of toxic formaldehyde. In a recent batch of leaked emails, Donald Rumsfeld’s  involvement in the approval of aspartame is discussed. Rumsfeld served as White House chief of staff from 1974 to 1975. He was also secretary of defense from 1975 to 1977, and again from 2001 to 2006. … I think it is poison … Doctors will swear to me it is fine, and I will tell them, maybe I’m the only person in the world who reacts like this, but clearly it affects me, and then they’ll tell me again, it is fine. They are so brainwashed by the propaganda, they refuse to believe anything contrary. I also have a friend who worked for the researchers at University of Chicago (which has a top rated neurology dept [sic]) and the doctors there said when they gave NutraSweet to lab mice, it literally blew holes in their brains. The same research team previously found that these artificial sweeteners were also present in breast milk when mothers ingested foods, drinks, medicines or other products that contained artificial sweeteners. These results are important because early life exposure to artificial sweeteners may influence a child’s future taste preferences, diet and metabolic fate. Research published in the journal Nature  in 2014 revealed a previously unknown mechanism by which artificial sweeteners make you pack on unwanted pounds and disrupt your metabolic function. Most importantly, this study proved causation. In recent years, we’ve learned that gut microbes play a significant role in human health. Certain gut microbes have been linked to obesity, for example, and as it turns out, artificial sweeteners disrupt your intestinal microflora, ,,,, thereby raising your risk of obesity, diabetes and other related problems. Artificial sweeteners were also found to induce gut dysbiosis and glucose intolerance  in otherwise healthy people. Of the artificial sweeteners tested, saccharin (Sweet’N Low) had the strongest impact, followed by sucralose and aspartame. Collectively, our results link non-caloric artificial sweeteners (NAS) consumption, dysbiosis and metabolic abnormalities, thereby calling for a reassessment of massive NAS usage. Another study, published in PLOS One,  also found that when rats were fed aspartame, it shifted their gut microbiota, causing it to produce propionate — short-chain fatty acids (SCFAs) involved in sugar production — which resulted in elevated blood sugar. This is a very interesting study that suggests the false promise of artificial sweeteners that are found in soft drinks and added to drinks, such as coffee, may have a significant effect on the quality and fertility of woman’s eggs and this may further impact on the chances of conception. These findings are highly significant to our population. There should be more scrutiny of food additives and better information available to the public and, in particular, those wishing to conceive. In its 2015 citizen petition to the FDA, , US RTK asked the agency to issue warning letters to Coca-Cola and Pepsi, concluding that the beverages are misbranded because the use of the term “diet” is false and misleading. In another letter,  the group urged the agency to stop Coca-Cola Company from making “illegal claims that its artificially sweetened sodas prevent, mitigate or treat obesity,” noting that Coca-Cola has made such claims on at least eight occasions. Most recently, The New York Times  reported on a new study  showing water clearly beats diet soda for weight loss. Eighty-one overweight women diagnosed with type 2 diabetes ate the same diet, with one exception. Half drank diet beverages five times a week while the other half drank plain water. Six months later, the group that drank water had lost an average of 14 pounds. The diet soda group lost an average of 11.5 pounds. The water group also saw greater improvements in measures of diabetes severity, such as fasting insulin and postprandial glucose. All of this is right in line with previous research showing artificial sweeteners promote weight gain and worsen diabetes . PepsiCo is now vowing to reduce the amount of sugar they add to their drinks. According to a recent announcement, at least two-thirds of its drinks will contain 100 calories or less from added sugar per 12-ounce serving by 2025. But while this may sound like good news, it simply means that more artificial sweeteners will be used. As for safer sweetener options, you could use stevia  or Lo Han, both of which are safe natural sweeteners. Keep in mind, however, that if you struggle with high blood pressure, high cholesterol, diabetes or extra weight, then you have insulin sensitivity issues and would probably benefit from avoiding all sweeteners, including natural ones.